Last year at the end of summer I visited to Suzumushi Temple in Arashiyama, Kyoto and also to Ishiyama Temple which is nearby, but in Otsu City, Shiga Prefecture, an area well known for Lake Biwa. I have more photos from Ishiyama Temple to put up yet, but was looking through some of the colorful images and found this one. 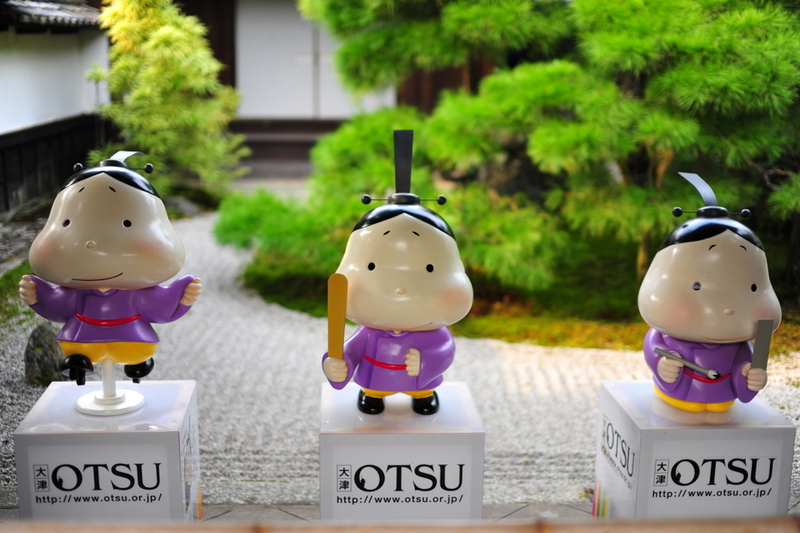 These are characters helping to promote tourism for Otsu City. Aren’t they great? Here is the Otsu official city web page and the home page for Ishiyama Temple. I will introduce this again when I put the photos up. Have you been to Lake Biwa or another place in Shiga Prefecture? What places have you been to in Otsu City?